Greet your guest list with a holiday decoration they can hang on the fridge instead of the tree! 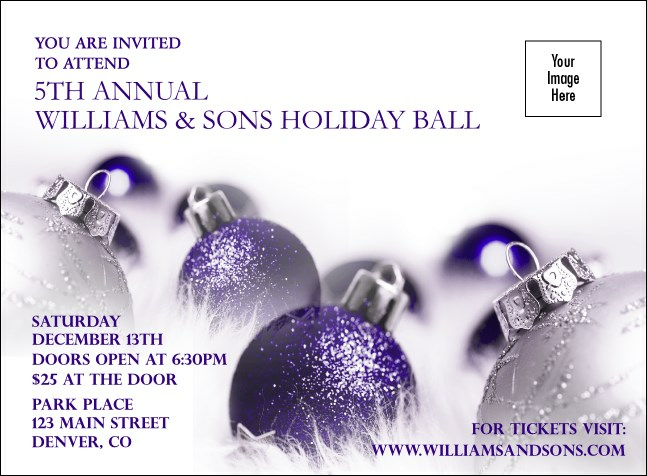 Send out Christmas Ornament Purple Invitations in advance and watch the RSVPs start rolling in. Each Invitation template features space to upload your own image on a winter-white background with purple and silver Christmas ornaments that shimmer and shine. Even in winter, TicketPrinting.com will help you trim your event with advertising that’s hot!